If you’ve just arrived in Paris you’d be forgiven for not knowing about Lost in Frenchlation. 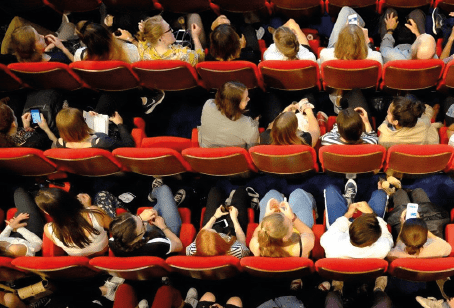 The event that brings expats closer to French cinema and culture by organising screenings at an independant cinema with English subtitles, overcoming any language barrier that may be associated with watching a French movie. Founded in 2016, the outings have proven once again to be popular among expats in Paris as they swoop Best of Paris award for the second year running. The past 12 months have been a period of growth and diversity as the expat experience remains key to the success of the events. Loyalty cards and gourmet popcorn are recent additions, but the true value comes from the diversity the organisers are adding to the mix. There are now a minimum of 6 screenings a month. Their recently introduced comedy nights bring local English-speaking comedians who perform before the screening. Past comedians include: Amber Minogue and Sarah Donnelly, Alexander Van Walsum, Julie Collas, Krishna Bagadiya, Luke Thompson and Robert Hoehn. Live dance shows and even QA sessions with directors, including Sophie Fillières the director of ‘La Belle et la Belle’, Sara Forestier the director of ‘M’, and Catherine Corsini the director of ‘Un Amour Impossible’. October saw LIF celebrate their 100th screening, ahead of the 3 year anniversay this month. So far, 10,000 spectators have attended a screening. Notable mention: Expat Nights by Theatre in Paris.